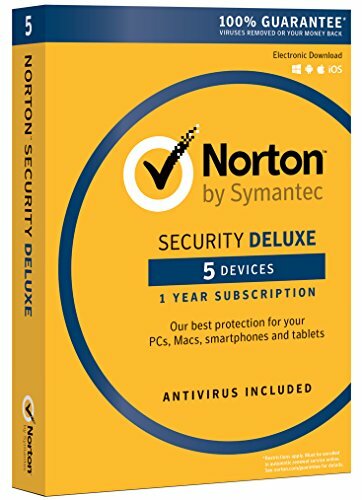 Norton Security Deluxe – 5 Devices – 1 Year Pre-Paid Subscription requires a Credit Card or PayPal information for activation and use. * We will store your payment details but you won’t be charged until your next renewal period. You will get an email reminder before renewal and can cancel your automatic renewal at any time. Norton Security helps protect your devices against cybercriminals and scammers while you surf, bank, socialize and shop online. When you’re online, your devices may be susceptible to threats, such as ransomware that holds your files hostage, or spyware that captures your passwords. Norton Security is designed to recognize and help block those threats before they get to your device — helping to protect your private and financial information. Browse the web confidently while Norton Security helps block unsafe links, malicious downloads and virus- ridden websites.